I was born on June 19th, 1983, in the little town of Detroit. I've played the guitar since 1996, but switched to the bass guitar three years later and found I was much better at it! If you chanced upon my large (400+ disk) CD collection, you'd find selections from artists such as the Dave Matthews Band, Cowboy Mouth, the Refreshments, and on the spiritual side, Third Day and DC Talk. Other than picking out bass riffs at random, like the one from "Ice Ice Baby", I enjoy writing editorials (Journalism, in fact, is my major at the University of Florida; I am a first year student) and remembering the joys of being four years old while watching the Cartoon Network! 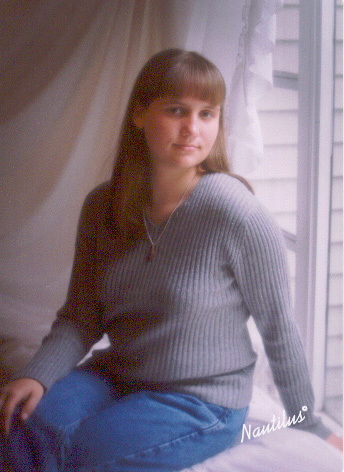 I accepted Christ at the age of 16 while attending a youth trip to Lake Junaluska in North Carolina. Although many people have aided my in my spiritual walk, Robb and Tamra Cranston pretty much adopted me, and they are my biggest mentors. I attend the University United Methodist Church, and plan to become a member of the contemporary worship praise band.